Ahead of Apple's October 30 event, regulatory details filed with the Eurasian Economic Commission suggest the company plans to unveil new Macs alongside the expected iPad Pro refresh. Spotted by Consomac and MySmartPrice, the newly updated filings show a total of what appear to be eight desktop Macs of which three are new. The listed model numbers A1993, A2115, and A2116 that all haven't been seen before. The only detail against any of the models is that they run macOS 10.14 so the other five are likely to be current Mac models updated to that OS. Alongside these desktop models, there is one MacBook model number. The A1932 model is a new listing alongside five existing ones, all now updated with macOS 10.14. This dovetails with persistent rumors that Apple will be introducing a new MacBook and a new iMac. 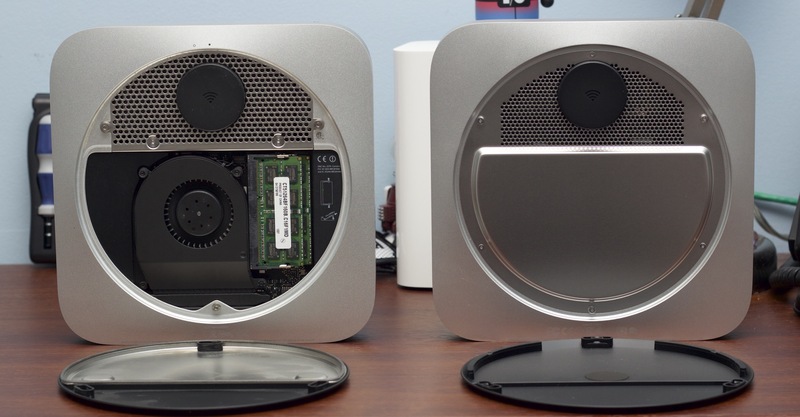 It may also suggest that the hoped-for new Mac mini is coming too. Analyst Ming-Chi Kuo has claimed that there will be a refreshed iMac. Kuo has proven to be remarkably accurate in his reports before and earlier this month, AppleInsider learned that Apple informed its stores that supplies of older iMac screens were low. Back in March this year, Kuo was advising that there would be a new model of MacBook and also that it would be cheaper than the current ones. It wasn't clear then whether this simply meant a price cut on, for instance, the MacBook Air, but now it does appear to be a new machine. While Kuo offered no other details, he concluded that MacBook sales will grow 15 percent this year. He didn't break that down into any analysis of what the growth of existing MacBooks would be, but typically increased sales come from the release of new models. While the Mac mini has been repeatedly rumored to be coming on October 30, there has previously been little actual evidence. Ming-Chi Kuo has only once mentioned it as coming and then gave no details. What's certainly clear is that there is demand for the Mac mini and that while it's still being sold, the model hasn't been updated since October 17, 2014. AppleInsider will be attending Apple's "There's more in the making" event on Oct 30th, where we expect new iPad Pros, and maybe even new Macs! Keep up with our coverage by downloading the AppleInsider app for iOS, and follow us on YouTube, Twitter @appleinsider and Facebook for live, late-breaking coverage. You can also check out our official Instagram account for exclusive photos. I wish they could/would extend the screen into the bezels more. 21.5" is a bit small for a main desktop screen imo, but with another inch it would be pretty ideal for the size. What ever Apple does the iMac needs to more serviceable than it is now. The current approach just makes it a no buy for me. I’m really hoping for a major Mini overhaul. I signed in just to like your post. "I'm so... scared!" Where are the speakers? And no camera? Please, for the love of God - let the new Mac Mini's allow users to add RAM and internal drives. Soldering down the RAM, means that I'll continue using my 2012 Mac Mini's with 16 GB RAM, and my homemade Fusion Drive. I will not buy a hamstrung Mac Mini, I will find myself FORCED to go back to Windows (and I don't want to do that). Unless it's a "pro mini" I doubt the RAM will be user replaceable. If they put 32GB in the thing and you refuse to buy one just because then that's just silly. But a more upstream/Pro focused Mini is exactly the rumor. It's supposedly larger, or a top end model is. Linux or whatever but not Windows. I am using Windows 10. First, the search utility is horrible. Things that would pop up immediately on a Mac take up to an hour to find. Second, it forces updates on you, and then the updates have flaws and need to be updated (this has happened 2x recently check the news). One of the updates broke the ability to change the display brightness from the keyboard, and they still have not fixed that. Another update broke my ability to play DVDs but I fixed that manually (20 minutes of my time). The updates will close your programs and then there is the possibility that you will lose some work. If you download a file from e-mail, work on it, then save it, it can be saved to some totally bizarre location and it will not show up on the find file. The only way to get it is through "Quick Access" but I didn't know about that for several months and also if enough time passes since you saved it, it will not show up in Quick Access. Basically, Find File only seems to work if you are searching in the right folder. Also if you don't type in the name the way Windows likes, the file won't come up even though it IS there. Bottom line is I find myself fighting my computer to get work done. On the plus side, memory management is excellent. The iMac isn't the computer for you then... perhaps the new Pro when it comes out but TBH, Apple might not be the right machine for you. The 2012 models had upgradable RAM, and the much loved quad core i7 option. It's only the 2014 models that had soldered RAM - as did the 2014/2015 21.5" iMacs. The 21.5" iMacs have gone back to slotted RAM in the 2017 models, even if it isn't readily accessible. The source listing shows desktop models A1347, A1418, A1419, A1481, A1862, A1993, A2115 and A2116. Those are: the current Mini, 21" iMac, 27" iMac, Mac Pro, iMac Pro, Unknown, Unknown, Unknown. Apple has always used consecutive model numbers for the 21" and 27" iMacs - A1207/A1208 from 2006, A1311/A1312 for 2009, A1418/A1419 for the modern design from 2012-now. They don't change model numbers for speed bumps so the A2115 and A2116 models could likely be all-new iMac designs, or a pair of completely new but related desktop things. The A1993 could be the new Mac Pro getting a placeholder in the filings, or a new Mini, or some new desktop thing. Model numbers only ever increase, so it is a slightly older design than the new potential iMacs. The other listings are for portable devices A1466, A1534, A1708, A1932, A1989 and A1990. Those are: the 13" Air, 12" MacBook, 13" Pro, Unknown, 13" Pro Touch and 15" Pro Touch. A1932 got its model number before the current MacBook Pro models, so it is something Apple has been working on for a while. This could definitely be a new MacBook that has been waiting for display or processor technology to reach maturity for mass production. My 2011 has twin drive bays (raid, server, TM, etc), 16GB user installable RAM, discrete GPU (! ), 3.4Ghz turbo boost single core speed, interfaced well with the TB display for FW800, enet and other ports and is only missing USB-3/C (TB adapter!) and a quad+ core option, all for <$1k at the time... ! Of the brand new, unidentified part numbers, I think A1993 will be a new Mac Mini, A2115 and A2116 will be redesigned 21.5" and 27" iMacs respectively (only because the current iMacs are also consecutive, A1418 and A1419), and A1932 will be a new MacBook, maybe 13". Is it Tuesday, 10 AM EST yet??? The 27" iMac always had upgradeable RAM. What exactly is the problem? People here are making it sound like they need the ability to constantly upgrade RAM. Jeez... most buyers will NEVER upgrade RAM. Never. Of those that do, many will upgrade their ram ONCE and then never again. Same tired tune. I upgraded the ram of my 2015 iMac from 8GB to 64GB the moment I received it. I will NEVER upgrade the RAM again. By the time anyone would want to, a new system will be out that is more attractive. People need to give it a rest.